There are no flies on those Macbankers. No sooner had they tapped taxpayers for help during the global financial crisis than they raised $25 billion on global bond markets with a sovereign guarantee. It saved their bacon, then, with breathtaking flair, they doubled down. Until now, it was common knowledge that the bank merely lent out its cheap government-guaranteed money again at higher rates and pocketed the difference. What we didn’t know is the quality and quantity of the loans. Revelations by the Australian Financial Review’s this week however established the bank has since ploughed $33 billion into junk loans. It is the biggest junk bond binge in the nation’s history, a sub-prime tour de force. Unlike other famous gamblers such as Wild Bill Hickok and Nick The Greek, who punted their own money, the Macbankers – newly monikered the Junk Yard Dogs – have gambled everybody else’s, after blithely leveraging it 10 times. The upshot is that the bank now has more junk debt than it has equity and its default rate is five times that of the major banks. 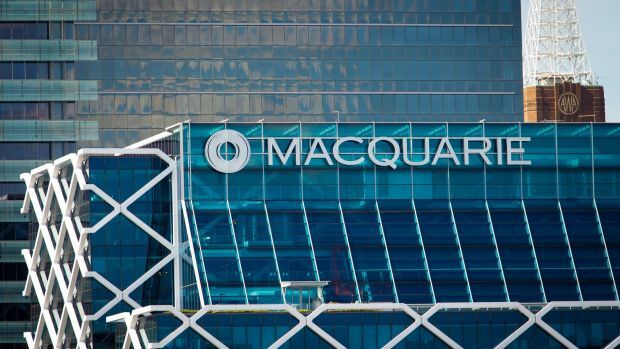 It poses the question, should taxpayers be subsidising, not just Macquarie’s garish executive bonuses, but standing behind what appears to be more of a leveraged hedge fund than a bank? Typically, Australian banks lend 65 per cent to the domestic housing market and the rest to business, in Australia. This goes, in some way, to justifying the government’s decision to put taxpayer guarantees on the line. In the wake of the global financial crisis, the Reserve Bank established its Committed Liquidity Facility, essentially a $245 billion bail-out mechanism for banks in crisis. Macquarie is also covered, so consequently taxpayers are on the hook for its foray into distressed housing loans overseas and assorted risks. We are backing, in other words, a high-octane foreign punt. 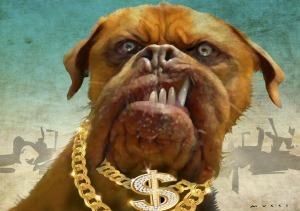 The bank has been understandably touchy about the press this week, especially the Junk Yard Dogs sobriquet. Unfortunately for Macquarie, “junk” is not merely a colourful word but a technical one. The definition is anything rated by Standard & Poor’s at BB or lower, so there’s no escaping it. Further to their response, the Junk Yard Dogs, sorry, the bankers, confirmed they had earned credit spreads above government bond yields on their loans of between 6.5 per cent per annum and 8.5 per cent, which implies the interest rates they are getting on the junk are 8.5 per cent to 13.5 per cent. An Aussie home borrower can get set at 4.5 per cent. That Macquarie is lending at twice that rate and higher says a lot about the credit risk of its borrowers. If they were to blow up, and we are not saying they will, they would have access to a $5 billion hard line of credit from the Reserve Bank (under the CLF) at 2.4 per cent. There is no way the bank would lend to home buyers at just 40 basis points above the cash rate but 2.4 per cent is the rate beleaguered taxpayers would have to lend to them. It is a quintessential case of “heads the bankers win, tails the taxpayers lose”. When Macquarie buys this junk, it leverages its shareholder capital or equity about 10 times. For every $10 billion of junk then, it has tipped in just $1 billion of equity and borrowed $9 billion from its depositors and bond holders. In theory therefore, and before accounting for the cost of its debt, equity and operations, the bank is earning about 10 times the 8.5 per cent to 13.5 per cent interest rates on the junk bonds. Think of it this way; a home buyer puts down a $100,000 deposit down for a house and borrows $900,000 from the bank. If the house price rises 10 per cent to $1.1 million, the borrower has made a 100 per cent return on the deposit, or ten times the capital gain. 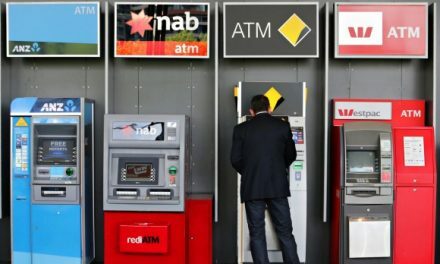 Macquarie’s non-performing loan rate across all its good and bad loans is now five times the major banks but if you drill down into its $7 billion sub-prime home loan portfolio, as the AFR did on Thursday, you will find the share of non-performing loans is 12 times higher than major bank averages. There is a visibility issue too. Fairfax Media asked the bank if its “high-yield” portfolio – when you see “high yield”, think junk – was “in-the-money” or “out-of-the-money”, to which there was no response. You see, instead of accounting for these assets on a “mark-to-market” basis, they deploy “accrual accounting” which makes it impossible to asses the value of the loans. Let’s hope regulators have a handle on it. So it is that reported loss rates on this $33 billion junk portfolio have been only 0.2 per cent annually. The reason the losses are so low while defaults are so high is because Macquarie picked up this stuff on the cheap. Post GFC, and armed with taxpayer guarantees, they pinned the ears back and brazenly piled into junk loans at just cents in the dollar. This observer’s undying admiration at the sheer chutzpah of the Junk Yard Dogs is only tempered by concern that once again taxpayers may find they inhabit a system where the losses are socialised while the profits are privatised.